_MAL7429.jpg, originally uploaded by Michael A. Lowry. Recently, Elin and I had dinner on Medborgarplatsen and then took a walk on the cliff overlooking Södermalarstrand. 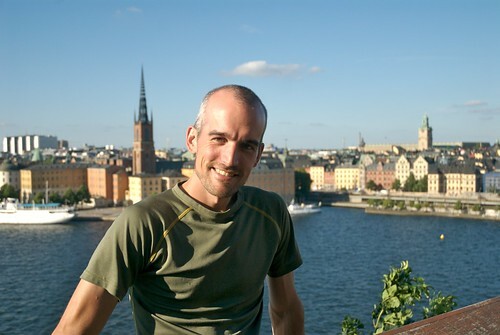 She took this excellent photo of me with Gamla Stan in the background. Here are all the photos from that day.